In order to make your holiday an enjoyable adventure we can offer you renting fast outboard motor boats. 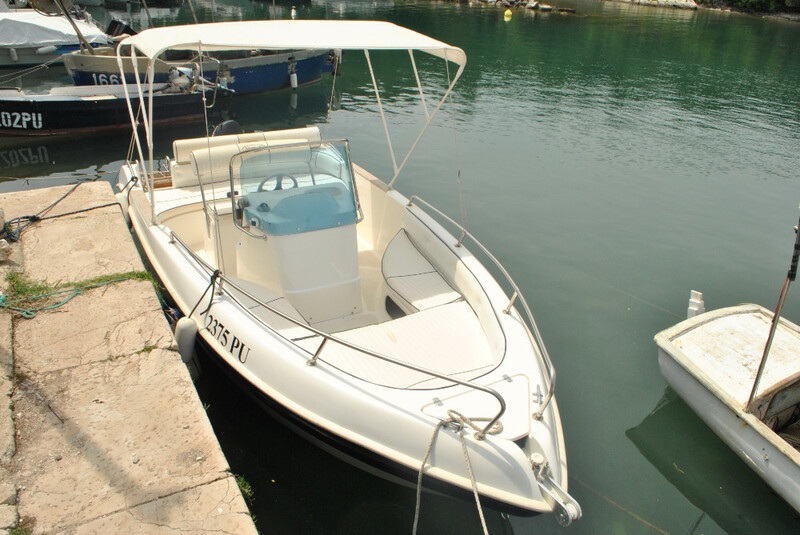 For renting a boat an appropriate and valid boat operator licence is required. Fuel for boat Marinello 19 is not included in the rent. For any questions please contact us. Location map of possible boat trips can be found HERE. 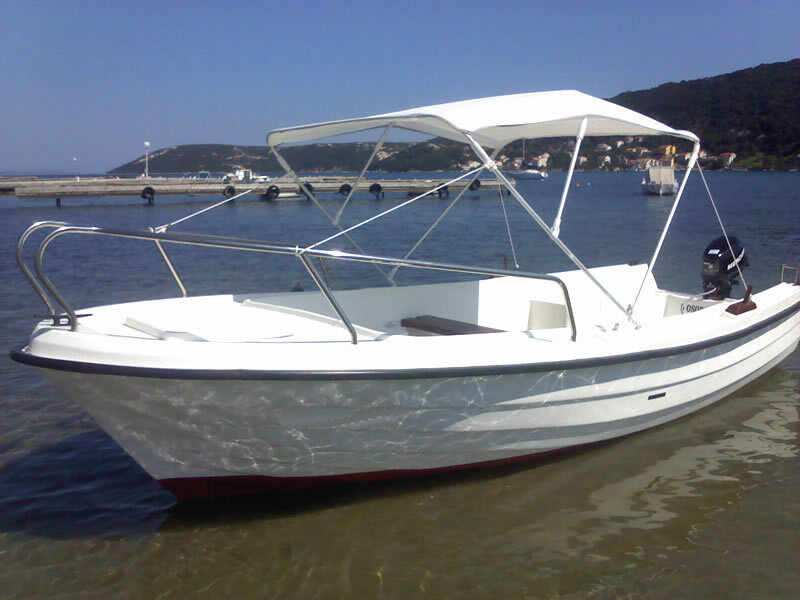 We offer charter of small 5m boats equipped with sun awning and with engines from 4 to 8 hp, for up to 6 persons. Big advantage of these vessels is that they are very easy to operate and all the most beautiful destinations are nearby. 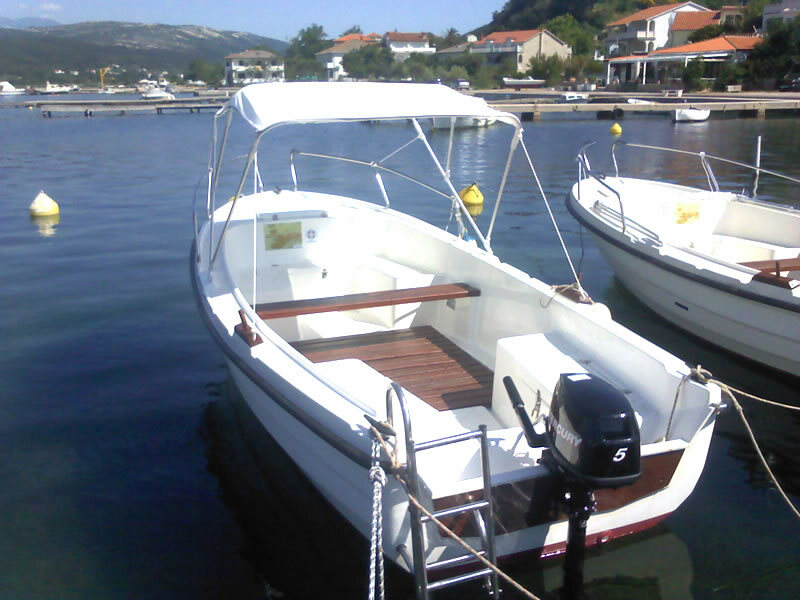 They are ideal for a tour to the park Kamenjak and nearby islands, which offer food and beverage services with free mooring. (Levan, Ceja, Bodulas). An unforgettable day trip for the whole family. You can rent boats daily from 10-19 hours. If you have any questions concerning our services, feel free to contact us! 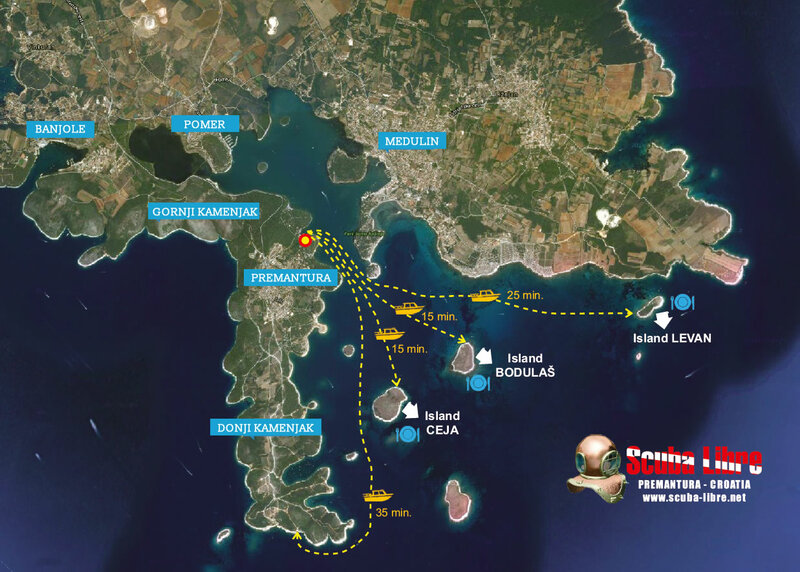 Copyright © 2015 Scuba Libre - Pula. All right reserved.